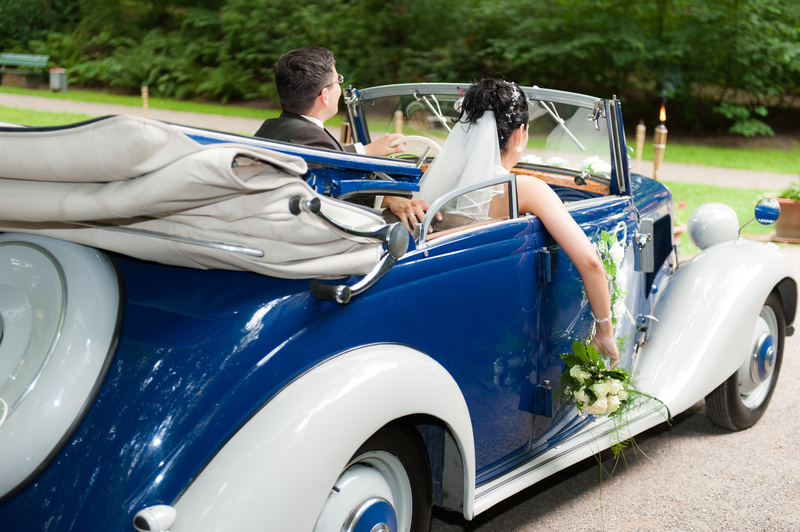 The most traditional mode of transport for a bride arriving at her wedding is the vintage wedding car. From the classic Bentley to vintage Rolls Royce, the choices are vast and these elegant vehicles are sure to make a grand entrance. Prices for vintage wedding car hire can vary quite a bit, but expect to pay in the region of £400 upwards. Traditional wedding cars come with a dedicated driver that will chauffer you and look the part in his top and tails. For couples who prefer to live life in the fast lane, a luxurious sports car might be more suited. Ferraris, Mercedes and Aston Martins can all be hired along with many other prestigious cars from specialised companies. The costs can be much greater than a traditional vintage wedding car, with some models costing well over £1000 so this might not be the option for a smaller budget. Every bride wants to feel like a princess on her wedding day so what better way to start that experience than with a horse and carriage? More suited to a Spring or Summer wedding, a horse drawn carriage makes a magical entrance for any bride. The horses used are trained to be well behaved and elude elegance. The only drawback with this mode of transport is unpredictable British weather. Many companies offer a canopy or closed carriage option to help keep you dry on rainy days so if you are getting married in an unsettled month, opt for a closed carriage just in case. If you are arranging transport for your wedding guests between two wedding venues, a practical option is to hire a vintage bus. Traditional styles from different eras and the classic red London bus can be hired. Many brides opt for an alternative arrival; however there is no reason why a bus couldn’t bring a bride and the whole bridal party to the wedding venue. Buses make perfect props for a vintage style wedding. 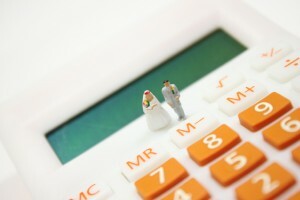 If you are holding your whole wedding at a hotel, why not look at the costs of staying in a room the night before? Many brides who are on a budget will find that a hotel room will cost a lot less than paying for a wedding car to drive around the block, and you can make just as grand an entrance walking down a sweeping staircase. The possibilities are endless when it comes to organising wedding transportation and these are just a few popular ideas to get you started. If you like to be different, you can organise the hire of VW campervans, tractors, helicopters and even tanks! 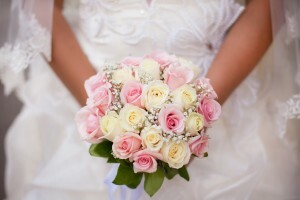 What will you choose for your wedding day?